Running WildFly on Kubernetes. On Windows. Fabric8! Have you ever dreamed about running WildFly on OpenShift and leverage the latest Kubernetes features: On Windows? Sounds like blasphemy: Everything about those technologies is screaming GO and Linux. Windows doesn't seem to be the right fit. But I know, that there are many developers out there, being stuck on Windows. Corporate laptops, easy management and whatever reasons the different employers come up with. The good news is, there is a small and brave group of people, who won't let those Windows users down. And I have to admit, that running a Windows operating system while working for Red Hat is a challenge. We're a Linux company and an open source company and everything Windows simply feels wrong. "That being said, I have decided to use Windows as my primary operating system in order to ensure that OpenShift has a great developer experience for Windows users. " So, I tried to get Kubernetes and OpenShift running on Windows for a while, natively not possible right now. On the other hand, I really want to get my hand on latest developments and look into fancy stuff. But there is a solution: Vagrant and Fabric8. And Fabric8 only because, I am a Java developer. 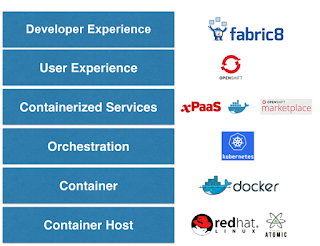 In fact if you are a Java developer wanting to work with Kubernetes Fabric8 really is the easiest and quickest way to get going. So, let's setup OpenShift and Fabric8 on a Windows machine. Vagrant-hostmanager is a Fabric8 Vagrant 1.1+ plugin that manages the /etc/hosts file on guest machines (and optionally the host). Its goal is to enable resolution of multi-machine environments deployed with a cloud provider where IP addresses are not known in advance. 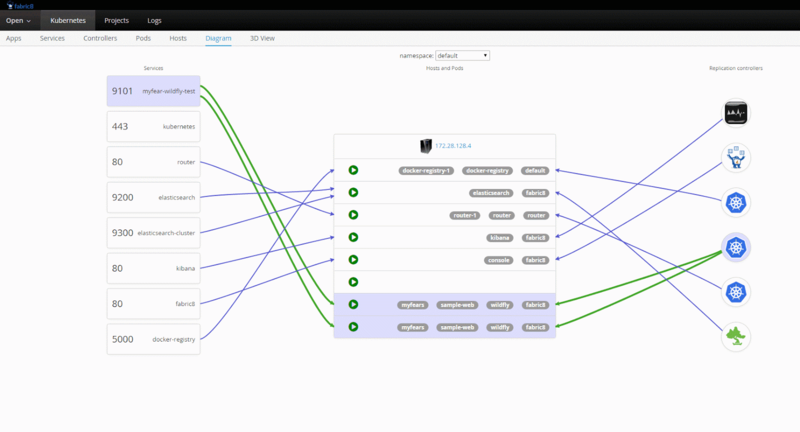 The next steps are needed for proper routing from the host to OpenShift services which are exposed via routes. Unfortunately for Windows no automatic routing for new services is possible. You have to add new routes manually to %WINDIR%\System32\drivers\etc\hosts. to add this folder to your PATH environment variable. Assuming, you haven't changed the default routes added to your hosts file by the vagrant start. The first one allows your OpenShift cli to use the right Kubernetes domain and the second one allows you to re-use the same Docker daemon, which is already running inside your Fabric8 vagrant image. Please make sure to NOT define any of the other docker env vars like DOCKER_CERT_PATH or DOCKER_TLS_VERIFY! It is probably a good idea to add this into your system environment variables or put it into a batch-script. Note: Make sure to use the Docker 1.6 client Windows (exe download). The latest 1.7 version doesn't work yet. After the vagrant box is created and docker images are downloaded, the fabric8 console should appear at http://fabric8.vagrant.f8/. Your browser will complain about an insecure connection, because the certificate is self signed. You know how to accept this, don't you? Enter admin and admin as username and password. Now you see all the already installed fabric8 apps. Learn more about Apps and how to build them in the documentation. Now you're ready for the next steps. 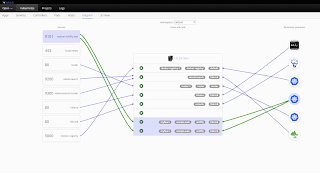 Let's spin up a WildFly instance on OpenShift with Fabric8. It defines which parts of the build will be copied over to the Docker image. and a maven folder contains your application as a war file. From this point on, you could also use the docker image and push it to the official docker hub or another private repository. There's not special magic in it. Find all the configuration options in the extensive docker-maven plugin manual. After a couple of seconds, the new pod is created and you can access your application via http://myfear-wildfly-test.vagrant.f8/. This runs your application on OpenShift. Just replace the container id, with the real one from the ps command. That's about it. Now you can totally start over. I'm going to walk you through the consoles a bit. There's a lot more to explore and I am going to show you more in subsequent blog-posts. Now, that we got everything up and running, this will be even more entertaining. Let me know, what you want to read about in particular.